Fashion labels are continuously upping their game, and not just with new clothing ranges. More and more often we are seeing them using their influence and power to make a change for a good cause. By focusing on social issues the wider community, many fashion label are really making a positive impact. Below we look at some of the fashion labels which have done, or are, working on charitable causes which are really making a difference. Take Lacoste as an example. They recently launched a #LacosteSaveOurSpecies campaign at the start of the year, where they replaced their classic crocodile logo with images of endangered species on their classic polo shirts, offering limited editions of each animal in relation to how many of the species there are left in the wild. The new logos were designed using the same green colouring and style as the iconic crocodile. The concept was to mark a three-year partnership between Lacoste and the International Union for Conservation of Nature — whose mission it is to conserve the integrity and diversity of nature. They focused on 10 of the most threatened species on the planet; the Vaquita, Burmese Turtle, Northern Sportive Lemur, Javan Rhino, Kakapo, Cao-vit Gibbon, California Condor, Saola, Sumatran Tiger and the Anegada Ground Iguana. The Save Our Species polo shirts were launched during the brand’s runway show at Paris Fashion Week and sold out immediately. The money from the shirts was donated towards the fight for wildlife conservation worldwide. Pretty cool, huh! 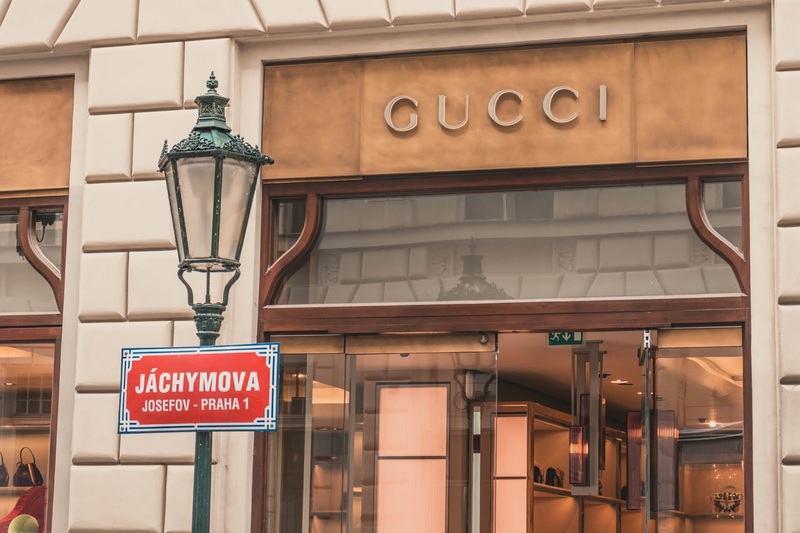 Another major fashion label showing support for a worthy cause is Gucci. They have donated half a million dollars in support of tighter gun control. The movement was announced following the tragic shooting at Marjory Stoneman Douglas High School in February which resulted in 17 people tragically dying. Gun crime is sadly something which has directly affected the fashion house with the death of Gucci salesman, Javier Jorge-Reyes, and injury of Gucci store manager, Leonel Melendez Jr — both caused by gun violence, so it is an issue close to the heart of the brand, and through donating to the cause, Gucci are making their opinion on gun control heard — commemorating the lives of those lost to gun violence and those who campaign for stricter laws. Kors began tackling world hunger when they launched the Watch Hunger Stop programme in 2013. They’ve helped the United Nations World Food Programme (WFP) deliver 15 million meals to children in need. For their 5th year of campaigning, the fashion brand teamed up with actress, Kate Hudson. There are many ways that people can donate — through the purchase of a timepiece, a Snapchat using a store geofilter or through posting a photo wearing a Watch Hunger Stop T-shirt. Each action donates a certain amount of money and corresponding meals to children in need — the programme supports 16 million children over 70 different countries. Stella McCartney is well known for continuously making a difference with regards to environmental fashion and sustainability. She changes attitudes to sustainable fashion and demonstrates how eco-fashion can be done by using the latest eco-friendly technology. The brand doesn’t use leather or fur in any designs and therefore innovates with new types of materials. Take her latest swimwear range for example, in partnership with Adidas. The swimsuits are made from Lycra Xtra Lite fabric, which is resistant to chlorine and uses recycled Parley Ocean Plastic yarn. In April 2018, Stella announced their collaboration with Colorifix, where they have reduced the environmental impact of the dyeing process. They do this through isolating the DNA that creates colour in nature and uses 10 times less water than the traditional process. Specialists in men’s shirts, Charles Tyrwhitt, have dedicated a lot of time and effort into helping The Prince’s Trust - a wonderful charity in the United Kingdom, founded by Prince Charles in in 1976. The charity does enormous amounts of good including helping vulnerable people get their lives back on track and find work. CT Shirts created a specific collection of scarves, ties, umbrellas and of course their iconic Charles Tyrwhitt navy suits — all dedicated to raising funds for the charity. Each time an item in the collection is sold, £5 is donated to The Prince’s Trust. Their work with the charity doesn’t stop there either. Employees at Charles Tyrwhitt are also involved with raising money. In fact, business founder, Nick Wheeler, raised over 100,000 when he completed an 874-mile bike ride from Land’s End to John O’ Groats in the UK. And, members of the company attend and recruit individuals through The Prince’s Trust ‘Get Hired’ Days. This is where young people who have been through The Trust’s programmes have found themselves ready to move into work and are actively looking for work. Fashion brands using their power to influence change is absolutely amazing to see and something I hope we see continuing to happen in the future. What do you think about fashion labels donating or working with charities?